Topping off a successful year, Salad picked up the award for Best PR Campaign with the Christmas Party recruitment campaign, “Britain's Best Boss”. 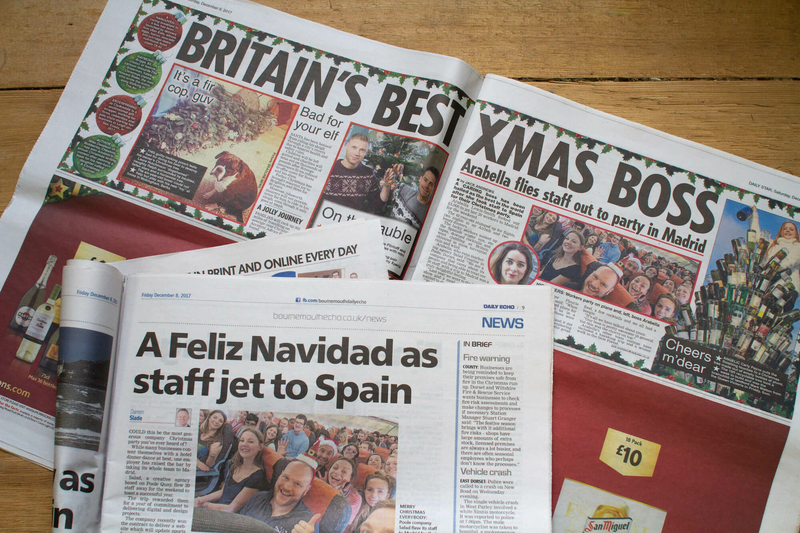 Following 2 award wins and 3 nominations for the Commonwealth Games England website, Salad was crowned for the ‘Best PR Campaign’ of 2019 for their feel-good Christmas story, which reached an estimated global audience of around 2.8 million people. The story - which was seeded with beautiful content captured by the Salad team during their short city break in Madrid - was first shared in the local newspapers to attract new recruits. Within hours of its appearance the story caught the attention of national journalists who dubbed Salad’s Founder and Managing director, Arabella Lewis-Smith, as “Britain’s Best Boss”. In the days that followed, Britain’s Best Boss featured in The Metro, The Daily Mail, The Sun, Weekly Observer, on BBC Radio 5 Live’s drive-time programme and was shared on LADbible more than 45,000 times. Head of Marketing & Communications, Fleurie Forbes-Martin commented on the fantastic award win: “Some agencies underestimate the importance of agency marketing in proving we’re worth our salt. While we might not offer PR as a core service at Salad, this is a great example of our ability to curate stories and content that resonate”. Take a look at our Madrid photostory for all our favourite snaps from the festive trip. To learn more about a career at Salad head over to our careers page for more information.